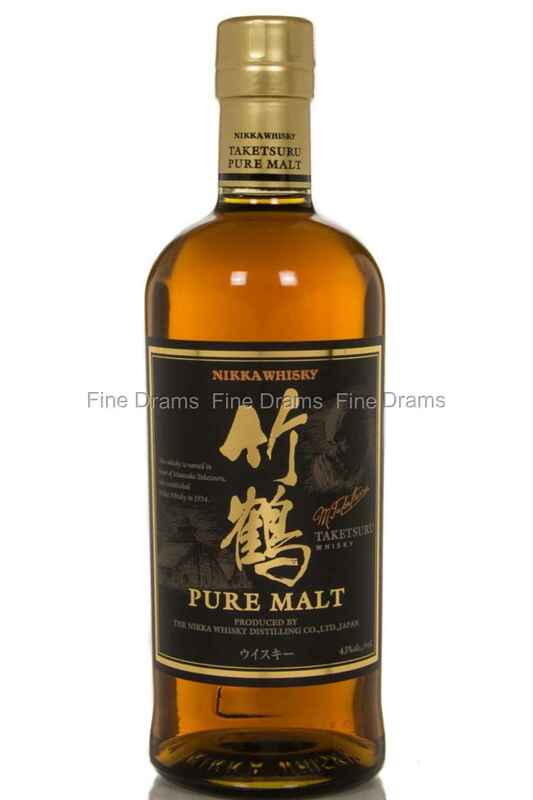 Named in honour of Masataka Taketsuru, the man who established Nikka Whisky in 1934, the Nikka Taketsuru Pure Malt is a blend of single malt whiskies aged around 10 years in several different types of oak casks. Its lively and fruity character combined with a rich sherry influence is due to the high percentage of Miyagikyo, with only just a little bit of Yoichi making up the rest. A very well-crafted blended malt, and at 43% ABV it packs a good amount a flavor.